Do You Know What I’d Like to Do? Oh that familiar line of questioning that inevitably lands us smack dab in the middle of our most ambitious adventures. Just last night I heard those magic words and so a new adventure begins. 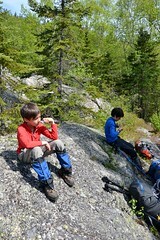 Our big hike in Pukaskwa last spring lit a fire in our tripping bellies. Our newest plan, hatched by my hubby, will see us clambering over the peaks of the La Cloche Silhouette Trail in Killarney Provincial Park. Too late in the season to attempt it this year, we plan on tackling it next spring. Our hike in May of this year has taught us that spring hiking is where it’s at. 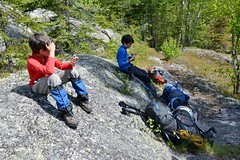 While we were plagued by black flies and rain, the temperature was ideal for lugging heavy packs and scaling steep slopes. While we have visited Killarney many many times, it has always been by canoe. 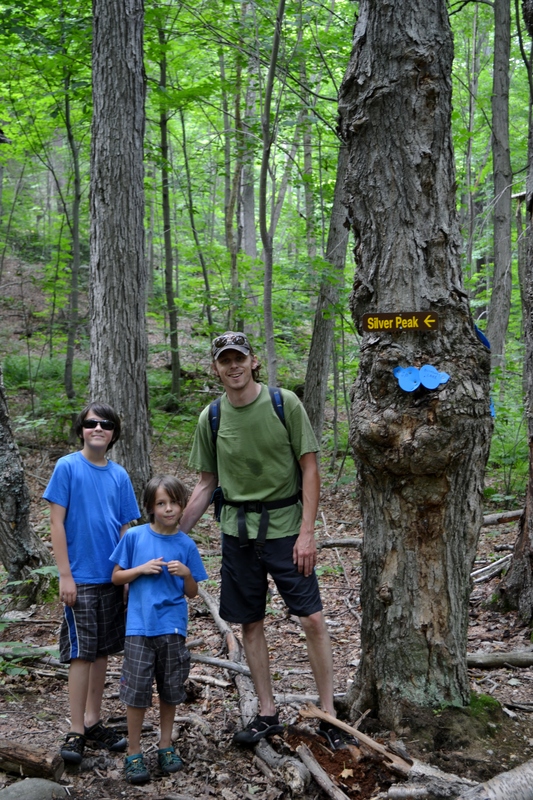 We did get a small taste of La Cloche when we climbed silver peak in 2011. It was much harder than we anticipated, but with Pukaskwa under our belts, we’re not concerned whether the boys can do it or not. We KNOW they can! We are looking at a 7-10 day route covering 100km and I can’t imagine that we can get our packs any lighter than last time (I’m looking at you Thermarest Neoair XLite, the love of my tripping life), but the boys will be that much bigger and stronger (I picked up a 55 litre pack for Luke!) so Fraser and I will get a little bit of a break on this hike…phew! 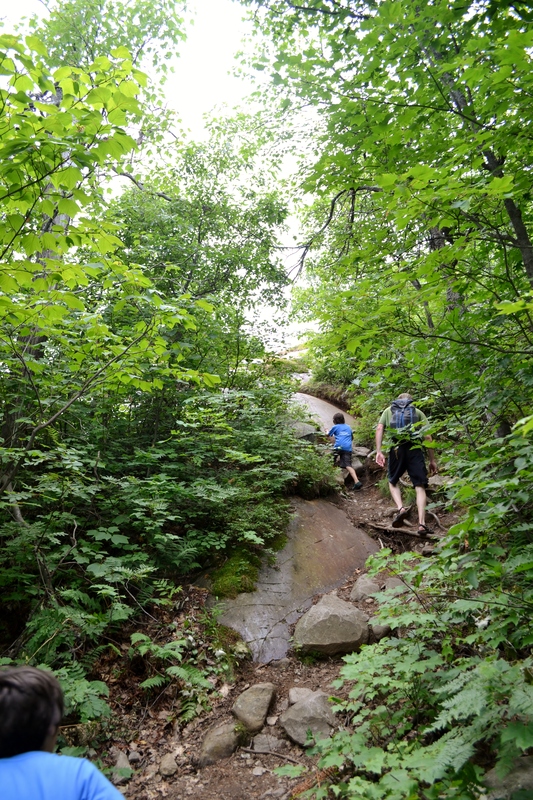 We can’t wait and now that I’ve officially agreed to another serious hike after vowing that Pukaskwa was my last (don’t worry, I always swear off tripping after a tough one…lol!) I’ve been told that there are no take-backs. And the boys, how do they feel about lacing up the hikers again? Zach says he only wishes that it could be harder. He wants to set another record. That’s my boy.